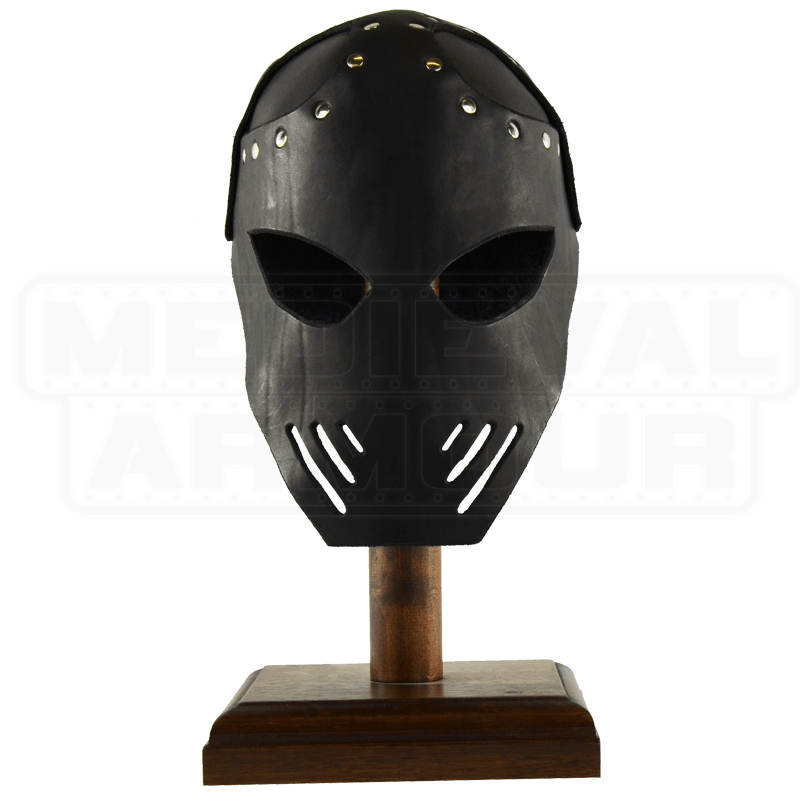 Our Executioner Leather Helmet is made from hardened 13/15 oz. leather and is perfect for any type of re-enacting or costuming. 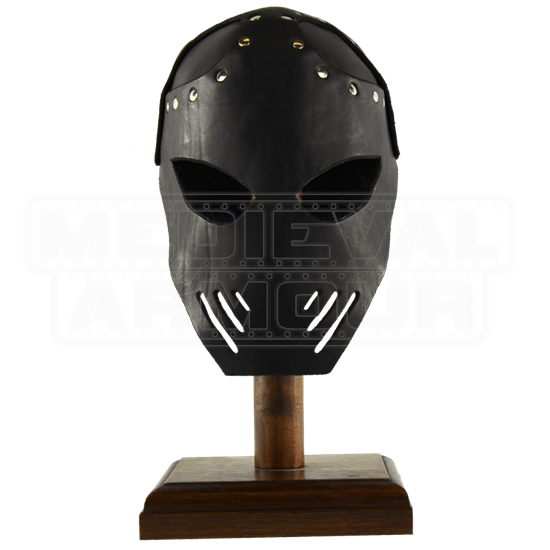 Leather helmets are perfect for re-enactors, SCA, LARP, and even faire goers. They are lighter and more comfortable than a steel helmet, while still providing an authentic look and modest protection. You do not have to worry about keeping the helmet oiled to prevent rust like you would with a steel helmet. The helmet does not have a liner, so an arming cap or a little foam padding will provide a custom fit. The face guard has an intimidating look with large cut out eyes for good visibility and slanted ventilation slots. This helmet is available in black or brown leather.